Waterproof, Airtight and resealable. Not only is this bag weatherproof it also has an ample assortment of outdoor products as well. 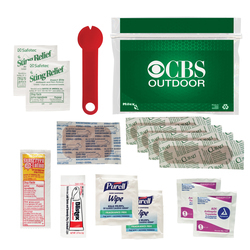 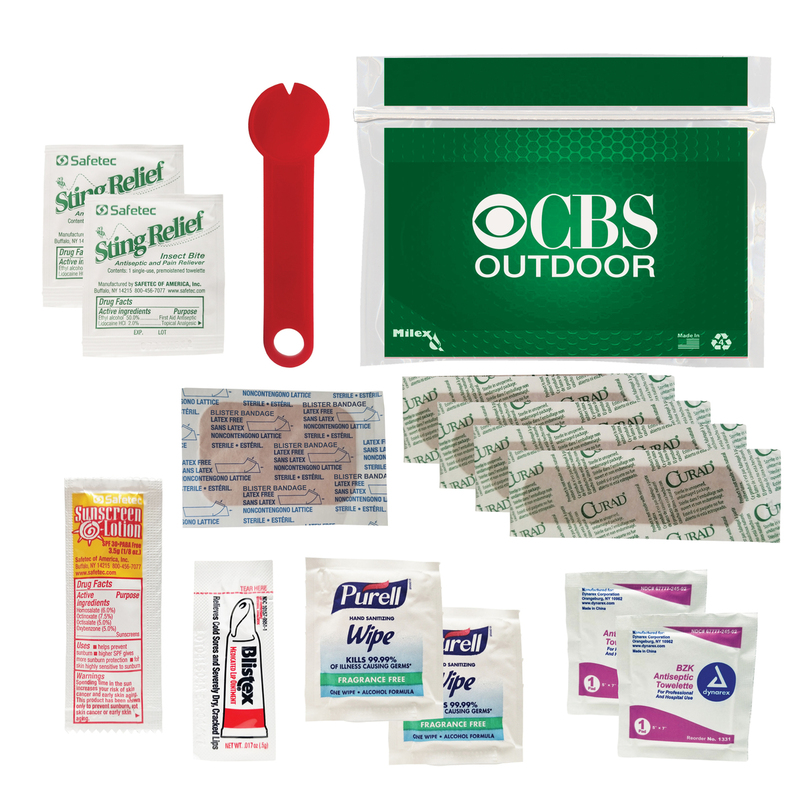 It includes: 2 Sting Swabs , 4 Flex-Fit Bandages 3/4" x 3" , 1 Blister Bandage 1.5" x 1.5", 1 Lip Balm Packet, 1 Sunscreen Packet 3.5g, 2 Purell Anti-Bacterial Wipes, 2 Antiseptic Swabs.